Foundling is the evolution of Canadian born Erin Lang’s musical project that has set roots in different countries and weaves together a broad collective of musicians. Now based in Berlin, Lang is joined by Danish producer and musician Marc Stebbing, and David Georgos, an electronic ambient and soundscape artist in his own right. Foundling have completed their new album Fault Lines. The seocond single from 'Fault Lines' is the title track and was released on 25.05.2018 with a video from director Henrik Hosé and choreographed by Ronnie Maciel (Constanza Macras Company). Fault Lines was aired on BBC Radio 6 and NDR in Germany. Fault Lines is a hypnagogic hallucination of being trapped within the walls of a deep canyon and struggling to retain a connection to reality. Lyrically it describes the fault lines in our own bodies and living in the dream state between the conscious and subconscious. The first single from 'Fault Lines' was released 10.11.17. The video for New Years is a collaboration with two avant guard contemporary dancers, Emilie Morin and Danielle Denichaud filmed at the Spree Studios in Berlin Germany. Lang’s previous album ‘Between You And The Sea’ was recorded while she was living in her hometown of Montreal, in a beautiful church hidden in eastern Quebec. Produced by Mark Lawson (Arcade Fire, Timber Timbre, Basia Bulat), the album features Taylor Kirk and Simon Trottier (Timber Timber) lending their deep and eerie dark-water voices and sounds. David Bryant of Godspeed You! Black Emperor mixed the albums instrumental tracks, moving them sonically through ghostly attics and rain swept prairies. 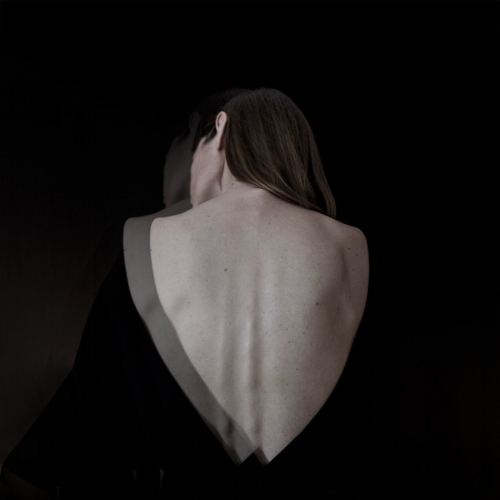 Lang supported the album with 14 months of touring, oppening solo for the dainish songstress Agnes Obel joining her for over 70 shows in Europe and North America at esteemed venues including The Berlin Philharmonie, Le Trianon and Le Grand Rex in Paris and many more as well as opening for good friends and collaborators Timber Timbre in Switzerland, Germany and Spain and headling shows with the whole band. Foundling will be touring in Europe, North America and Mexico throughout 2018.